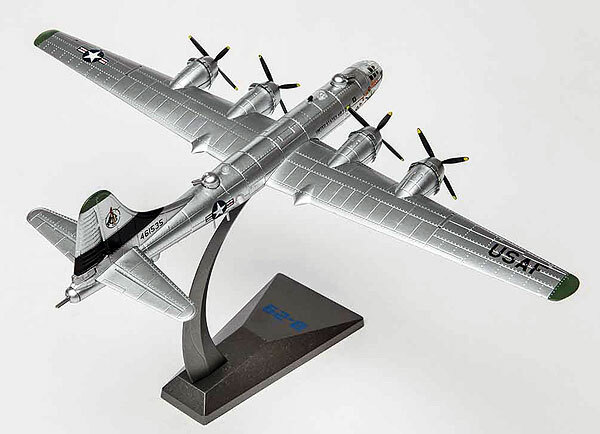 Designed to meet the U.S. military need for an enormous long-range bomber, the B-29 Superfortress was first conceived and launched in World War II with the intent to destroy the enemy on their soil. The monstrous metal craft effectively carried out missions for well over a decade, right through the Korean War, solidifying her place in military aviation history. Never before had so many new ideas and technology breakthroughs been put together in a single aircraft. 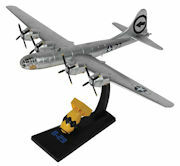 So evolved was the B-29 that it required a crew of 10 specialists and gunners. 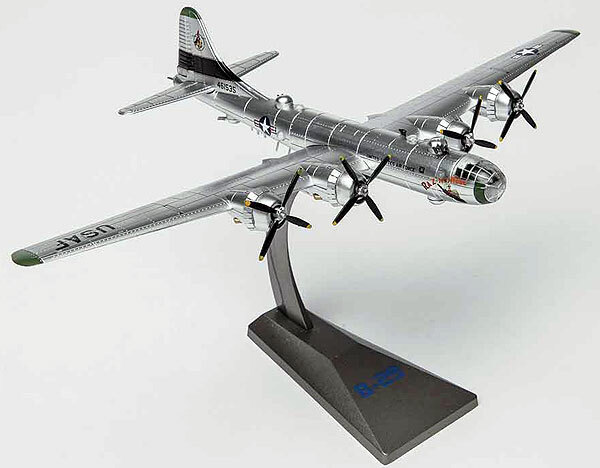 But you won’t need them to behold this new, limited-edition, precision 1:144 scale, diecast model of the famous Boeing B-29 “Raz’n Hell.” Featuring the famous “Raz’n Hell” nose art, collectors and history buffs will appreciate the incredible details, which include rotating props, rubber tires, glazed windows, intricate landing gear and a metal stand for “in-flight”display of the plane heading towards its mission.